Lisa joined the San Francisco Auxiliary in 1993 and has given endless hours of love, time and support to children in need of treatment at Packard. All of us at the San Francisco Auxiliary for Children, are proud and honored to work alongside Lisa. Her spirit, commitment and dedication inspire us every day! 1) Stanford Chemist Joins with Radiologists to Locate Source of Pain – With Help from Newts. Sandip Biswal, MD, associate professor of radiology, is quoted. 2) DNA of Peanut-Allergic Kids Changes with Immune Therapy, Study Finds. Kari Nadeau, MD, PhD, associate professor of pediatric immunology, is featured. 3) UCSF Study Shows How the Brain Sorts Sound to Make Language. Josef Parvizi, MD, PhD, associate professor of neurology, provides comment. 4) 2 Investigates: Family Questions Organ Transplant Centers Patient Selection Process. Packard Children’s is mentioned. 6) Lives Less Ordinary: Chronically Ill Children Are Living Longer than Ever. How Should We Care for Them? 1) Opinion: Developmental Disabilities 101 for the Medical Community at UCSF. 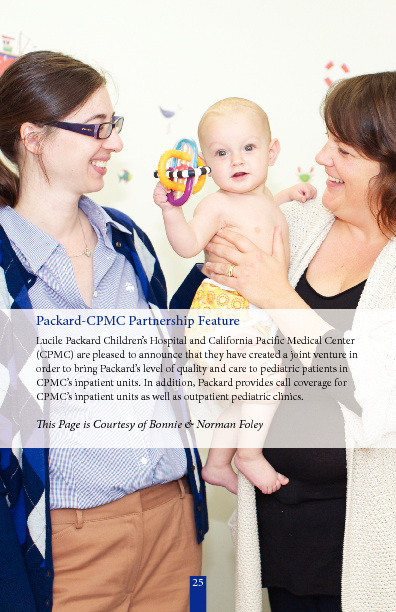 Lucy Crain, MD, clinical professor of developmental and behavioral pediatrics, is featured. 2) California Flu Deaths Continue to Climb. Yvonne Maldonado, MD, service chief of pediatric infectious diseases, is featured. 2) MS: Slow Progression with Vitamin D? Lawrence Steinman, MD, professor of pediatric neurology, is quoted. 3) Chowchilla Student Set for Heart Transplant; Fundraiser Being Held. Packard Children’s is mentioned. 1) Researchers Find New Way to Boost Survival of Pediatric Patients Suffering Cardiac Arrest<http://www.news-medical.net/news/20140116/Researchers-find-new-way-to-boost-survival-of-pediatric-patients-suffering-cardiac-arrest.aspx>. Deborah Franzon, MD, clinical assistant professor of pediatric intensive care, is featured. 2) New Preeclampsia Toolkit Will Help Prevent Maternal Deaths<http://scopeblog.stanford.edu/2014/01/16/new-preeclampsia-toolkit-will-help-prevent-maternal-deaths/>. Maurice Druzin, MD, service chief of obstetrics & gynecology, is quoted. 3) Clayton Girl Suffering from Pulmonary Hypertension on Transplant List<http://www.contracostatimes.com/concord/ci_24916931/clayton-girl-suffering-from-pulmonary-hypertension-put-active>. Jeffrey Feinstein, MD, director of the center for pulmonary vascular disease, is mentioned. 4) Stanford Medicine X Seeking Students for Leadership Program<http://scopeblog.stanford.edu/2014/01/16/stanford-medicine-x-seeking-students-for-leadership-program/>. Larry Chu, MD, associate professor of general anesthesia, provides comment. 5) Donating Blood in Gridley<http://www.gridleyherald.com/article/20140115/NEWS/140119820>. Packard Children’s is mentioned. 1) Health Law Adds Coverage for Services Needed by People with Developmental Disabilities. An issue brief commissioned by our foundation is cited. 2) Focus on the Figures: Re-Entry into Foster Care. A bi-weekly feature highlights data about California’s children from our foundation’s website,www.kidsdata.org. 3) Words That Change Our World. Packard Children’s is mentioned. 4) Gift of Mobility: West Sider Helps Develop ‘KidWalk’. Packard Children’s is mentioned. 1) Los Altan of the Year: The David and Lucile Packard Foundation Philanthropists Solving the World’s Problems One Grant at a Time. Our Foundation and Packard Children’s are mentioned. 2) Could Bleach Facials Become the Next Big Craze? Thomas Leung, MD, instructor of dermatology, is quoted. 1) Former Med School Dean on Glaxo’s Decision to Stop Paying Doctors to Promote Products: It Will Help “Assure Public Trust”. Philip Pizzo, MD, professor of pediatric infectious disease, is quoted. 2) Stanford Women’s Cancer Center: Peace of Mind and Advanced Care Under One Umbrella. Jonathan Berek, MD, MSS, chair of Obstetrics & Gynecology, is mentioned. 3) Clinical Informatics Gains Recognition as New Medical Sub-Specialty. Christopher Longhurst, MD, clinical associate professor of pediatric hospital medicine, is featured. 4) Los Gatos Mom Needs Help Covering Medical Tests for Cancer-Stricken Son. Packard Children’s is mentioned. 1) St. Raymond Students Give Back for Christmas. Packard Children’s is mentioned. 2) Focus on the Figures: Exit Status, Four Years Out. A bi-weekly feature highlights data about California’s children from our foundation’s website, www.kidsdata.org. 3) Children’s Mercy Hospital Offers Hope for Teens with Mysterious, Excruciating Pain. Elliot Krane, MD, director of the pediatric pain management program, provides comment. 4) Pediatricians to Expectant Moms and Kids: Don’t Drink Raw Milk. Yvonne Maldonado, MD, service chief of pediatric infectious diseases, is featured. 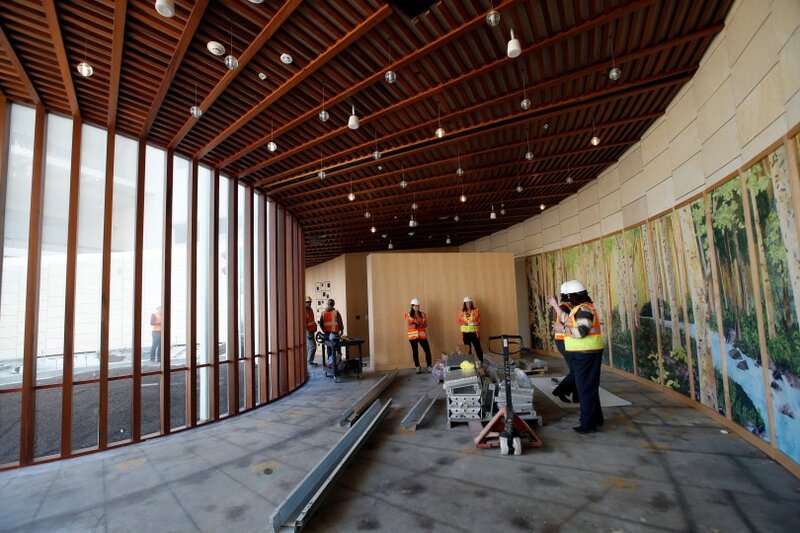 6) Stanford to Open Pediatric Specialty Clinic. Packard Children’s is mentioned. 3) Respite Room Comforts Family of Sick Kids. Packard Children’s is mentioned. 4) Medical Test Surprises: What Should You Be Told? Sarah Hilgenberg, MD, clinical instructor of pediatric hospital medicine, is quoted. 2) Gastric Bypass Surgery: A Fountain of Youth? John Morton, MD, associate professor of surgery, is quoted. If you see relevant articles not included in this digest, please send the url to Danielle.DeCosta@lpfch.org. 1) Therapy via iPad Aims to Help Children with Cochlear Implants. Nikolas Blevins, MD, director of the Stanford/LPCH cochlear implant program, provides comment. 2) For Prawns, Disease-Carrying Snails Are Delectable Escargot. Michael Hsieh, MD, PhD, assistant professor of pediatric urology, is quoted. 3) Visiting Russian Doctors Train on Use of Simulations at CAPE. Louis Halamek, MD, director of the center for advanced pediatric education, is featured. 4) Workshop Helps Oncology Physicians Improve Communication Skills. Jonathan Berek, MD, MSS, chair of the department of obstetrics and gynecology, provides insight. 5) ‘We Are Now Able to Eavesdrop on the Brain’: Scientists Come Closer to Mind-Reading Devices Following Breakthrough Brain Study. Josef Parvizi, MD, PhD, associate professor of neurology, is featured. 1) Focus on the Figures: Youth in Three or More Placements. A bi-weekly feature highlights data about California’s children from our foundation’s website,www.kidsdata.org. 2) Russian Doctors Visit Packard Hospital for Childbirth-Crisis Training. Packard Children’s is mentioned. 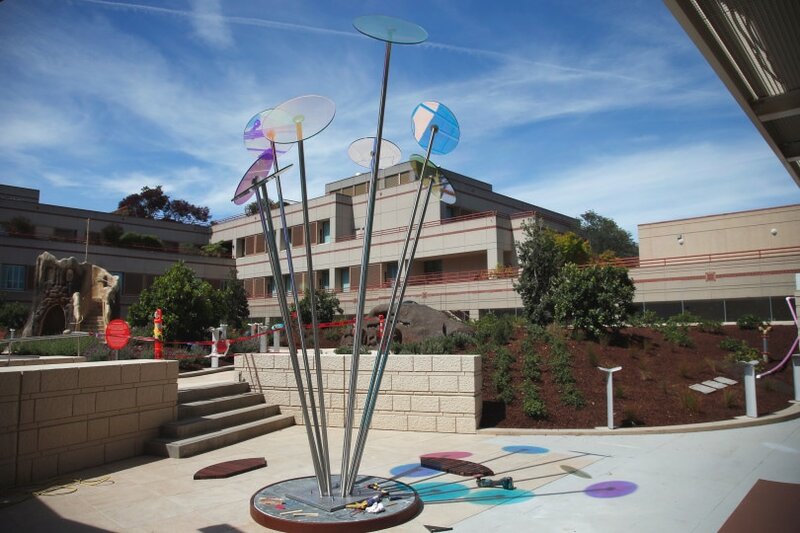 3) Lucile Packard Children’s Hospital at Stanford Awarded Coveted 2013 Leapfrog Top Children’s Hospital Distinction. Paul Sharek, MD, MPH, medical director of quality management, is quoted. 4) Stanford Doctor Works to Improve Women’s Sexual Health. Leah Millheiser, MD, clinical assistant professor of gynecology, is featured. 5) 2-Year-Old Is a Reason to Give Thanks at Vega Home in Butte Creek Canyon. Gregory Hammer, MD, associate director of the pediatric ICU, and David Cornfield, MD, chief of pulmonary and critical care medicine, are quoted. 6) Eating Disorders a Risk for Obese Adolescents. Neville Golden, MD, division chief of adolescent medicine, provides comment. 7) Diagnosis: Electronic Medical Record Myopia. Natalie Pageler, MD, clinical assistant professor of pediatric intensive care, and Christopher Longhurst, MD, clinical associate professor of pediatric hospital medicine, are featured. 13) Report: Hitting the Cognitive Wall by Third Grade? 1) Hilton Foundation Study Reveals Foster Care Shortcomings. Data from kidsdata.org, a program of our foundation, are cited. Covered in numerous additional outlets. 4) Faculty Showcase Artistic Talent at Exhibition on Campus. Philip Pizzo, MD, professor of pediatric infectious disease, is mentioned. 5) Offer Women IUDs, Hormone Shots after Abortions: Study. Paula Hillard, MD, professor of pediatric gynecology, provides comment. 1) Staff Honored for Outstanding Contributions to Stanford’s Research Mission. Ann Arvin, MD, professor of pediatric infectious disease, is mentioned. 2) Holiday Weight Gain Affects Children, Too, Says Packard Children’s Hospital Pediatrician. Thomas Robinson, MD, MPH, professor of general pediatrics, is featured. 3) Depression Among Young People and What Can Be Done. Shashank Joshi, MD, director of the child and adolescent psych residency program, is quoted. 4) Packard Children’s Infectious Disease Expert Discusses Powerful New Flu Vaccine and Tips to Minimize Flu Spread. Yvonne Maldonado, MD, service chief of pediatric infectious diseases, is featured. 5) Could Weight-Loss Surgery Help Slow Aging for Some? John Morton, MD, associate professor of surgery, is quoted. 6) Hiding in Plain Sight: Finding New Targets for Old Drugs. Atul Butte, MD, director of the Center for Pediatric Bioinformatics, provides comment. 3) Maternal Immunotherapy Shots May Cut Child’s Allergy Risk. Kari Nadeau, MD, PhD, associate professor of pediatric immunology, provides comment. 4) Home DNA Tests Raise Concerns About Privacy. Uta Francke, MD, professor emeritus of medical genetics, is featured. 5) ‘Learn from Every Patient, Every Visit, Every Time’. Christopher Longhurst, MD, clinical associate professor of pediatric hospital medicine, is quoted. 6) Just One Dose of HPV Vaccine Could Be Enough. Paula Hillard, MD, division chief of gynecologic specialties, provides insight. 7) What Health Care Needs Is a Real-Time Snapshot of You. Atul Butte, MD, director of the Center for Pediatric Bioinformatics, is featured. 1) Make It Stop: Stanford Researchers Get to the Root of Chronic Pain. Sean Mackey, MD, PhD, chief of the division of pain management, Philip Pizzo, MD, professor of pediatric infectious diseases, and Ian Carroll, MD, assistant professor of pain management, are featured. 2) Need to Restore Vital Signs? There’s a Manual for That. Sara Goldhaber-Fiebert, MD, clinical assistant professor of general anesthesia, and Larry Chu, MD, associate professor of general anesthesia, are featured. 3) Packard Children’s Care Teams Train Brain to Defeat Pain. Elliot Krane, MD, director of the pediatric pain management program, and Brenda Golianu, MD, associate professor of pediatric pain management, are quoted. 4) Quynh-Thu Le, Med School Professor, Elected to the Institute of Medicine. Quynh-Thu Le, MD, professor of radiation oncology, is featured. 5) What Health Care Needs Is a Real-Time Snapshot of You. Atul Butte, MD, director of the Center for Pediatric Bioinformatics, is quoted. 6) Ask Stanford Med: Pain Expert Taking Questions on Integrative Medicine. Emily Ratner, MD, co-director of the division of medical acupuncture, is featured. 1) Focus on the Figures: Median Number of Months in Care. A bi-weekly feature highlights data about California’s children from our foundation’s website, www.kidsdata.org. 2) Surgery Effective for Type 2 Diabetes. John Morton, MD, associate professor of surgery, is quoted. 3) Stanford Medicine Investigators Awarded $1.37 Million Grant for Children’s Cancer Research. Kathleen Sakamoto, MD, chief of pediatric hematology/oncology, is featured. 4) Diabetes’ Cold Sweat Seen Ended with Artificial Pancreas. Bruce Buckingham, MD, director of pediatric endocrinology, provides comment. 5) Is the Brain Hard-Wired for Pain? Sean Mackey, MD, PhD, chief of pain management, is quoted. 6) A Growing Consensus for Revamping Anorexia Nervosa Treatment. Neville Golden, MD, chief of adolescent medicine, provides comment. 7) Novel Drug Discovery Method Designed by Stanford Scientists. Michael, Wei, MD, instructor of pediatric hematology/oncology, is featured. 2) Recipe for Strong Teen Bones: Exercise, Calcium and Vitamin D. Neville Golden, MD, division chief of adolescent medicine, is featured. 1) Monterey County on a Sugar Binge. Data from kidsdata.org, a program of our foundation, are cited. 2) Seniors with Serious Injuries Often Don’t Receive Specialized Care. Kristan Staudenmayer, MD, trauma/critical care surgeon, is quoted. 3) Dear Evolution, Thanks for the Allergies. Stephen Galli, MD, service chief of pathology, provides comment. 2) Too Deeply Attached: The Rise of Placenta Accreta. Edward Riley, MD, associate professor of anesthesia, and Deirdre Lyell, MD, director of the placental disorders program, provide comment. David Spain, MD, chief of trauma and surgical critical care, is mentioned. 3) Changing Expectations: New Hope for High-Risk Births. Susan Hintz, MD, medical director of the center for fetal and maternal health, Frank Hanley, MD, co-director of the children’s heart center, and Yasser El-Sayed, MD, associate chief of maternal-fetal medicine, are featured. 4) Labor Day: The C-Section Comes Under Review. Yasser El-Sayed, MD, associate chief of maternal-fetal medicine, is quoted. 5) Gone Too Soon: What’s Behind the High U.S. Infant Mortality Rate. William Benitz, MD, division chief of neonatology, David Stevenson, professor of pediatrics, Philip Sunshine, MD, co-director of the Mid-Coastal California Perinatal Outreach Program at Packard Children’s, and Maurice Druzin, MD, LPCH service chief of obstetrics and gynecology, are featured. 6) Hello in There. Yasser El-Sayed, MD, associate chief of maternal-fetal medicine, Richard Barth, MD, chief of pediatric radiology, Maurice Druzin, MD, LPCH service chief of obstetrics and gynecology, and Susan Hintz, MD, medical director of the center for fetal and maternal health, provide comment. 7) ACLU, LT. Gov. Gavin Newsom Announce Study of California Marijuana Legalization. Seth Ammerman, MD, clinical professor of adolescent medicine, is mentioned. 8) Is Donated Breast Milk Safe? Examining Milk Banks Versus Internet Sites. Ron Cohen, MD, clinical professor of neonatology, is quoted. 1) School Nurses Spread Thin in California. The report cited was funded by a grant from our foundation. Data from kidsdata.org also are noted. 2) Peanut-free Football Kicks off Saturday at Northwestern. Kari Nadeau, MD, PhD, associate professor of pediatrics, is quoted. 1) Focus on the Figures: Exits from Foster Care after One Year. A bi-weekly feature highlights data about California’s children from our foundation’s website, www.kidsdata.org. 2) Widely Prescribed Statin Could Help Organ-Transplant Patients. Atul Butte, MD, director of the Center for Pediatric Bioinformatics, is quoted. 3) Tune in, Turn on and Meet Your Doctor. William Kennedy, MD, associate professor of pediatric urology, is featured. 4) Flu Fight Has an Array of Weapons. Cornelia Dekker, MD, medical director of SHC-LPCH vaccine program, is quoted. 5) Haunted by a Child’s Illness. Richard Shaw, MD, professor of psychiatry and behavioral sciences, provides comment. 6) Patients Share Tips Online for Managing Diseases. Larry Chu, associate professor of anesthesiology, provides comment. 2) Obesity Surgery Coverage Balloons the Cost of Some Health-Care Plans in Virginia.John Morton, MD, associate professor of surgery, is quoted. 2) Big Data Leads to Big Finds: Clinical Trial for Deadly Lung Cancer Launched by Stanford Study. Atul Butte, MD, director of the Center for Pediatric Bioinformatics, is quoted. 1) Cancer Patients Live Longer When Married, Study Finds. David Spiegel, MD, the medical director of the Stanford Center for Integrative Medicine, is quoted. 2) Medical Second Opinions: More Necessary and Easier than You Think. Lawrence Hofmann, MD, chief of interventional radiology at Packard is the author. 2) Cardinal Athlete Dives Back in, Thanks to Stanford Surgeon. Jason Lee, MD, assistant professor of surgery, is quoted. 1) Changes in Household Routines Help Reduce Kids' Obesity: Study. Thomas Robinson, MD, the Irving Schulman, MD, Endowed Professor in Child Health, is quoted. 2) New Hips Not Just for Elderly. Williams Maloney, MD, professor of orthopedic surgery, is quoted. 1) California Survey Shows Troubling Portrait of Children's Lives. Reprint of San Jose Mercury News story featuring data from kidsdata.org, a program of our foundation. 2) A Q&A with Breastfeeding Expert Susan Crowe. Susan Crowe, MD, clinical assistant professor of obstetrics, provides comment. 3) Possible Predictors of Longer-Term Recovery from Eating Disorders. James Lock, MD, professor of eating disorders, is quoted. 4) NICU Trauma Intervention Shown to Benefit Mothers of Preemies. Richard Shaw, MD, professor of child and adolescent psychology, is mentioned. 1) California Survey Shows Troubling Portrait of Children's Lives. Data from kidsdata.org, a program of our foundation, are featured in this major story. 2) Habilitative Services Face Uncertain Future Under Obamacare. A report commissioned by our foundation is cited. 4) Back to School Is a Great Time for Teens to Sleep. Rafael Pelayo, MD, associate professor of sleep disorders, is the author. 5) As Director Leaves, Project Safety Net Hones Mission. Shashank Joshi, MD, Director Child & Adolescent Psych Residency Program, is mentioned. 9) A Drug To Treat Autism? 1) Livermore's Camp Milagros Helps Lift Children’s Spirits. Packard Children’s is mentioned. 2) Father of Son Battling Rare Brain Tumor: 'Sirous Has Been a Gift From God'. Packard Children’s is mentioned. 1) Teen Girls Become Orthopedic Surgeons for a Day. Amy Ladd, MD, professor of pediatric Hand and Upper Limb Surgery, is quoted. 2) Research Focuses on How Brain Injuries Affect Normal Classwork. Paul Fisher, MD, the Beirne Family Professor of Pediatric Neuro-Oncology, is mentioned. 5) What Can Hospitals Learn From Pediatric Institutions To Improve The Patient Experience? 1) Focus on the Figures: Substantiation of Abuse and Neglect. Data from kidsdata.org, a program of our foundation, are cited. 3) Skin-to-Skin Practice in Maternity Wards Growing. Susan Crowe, MD, clinical assistant professor of obstetrics, is quoted. Note: The next edition of the News Digest will be on Monday, August 12. 1) Falling Obesity Rates Among Preschoolers Mark Healthful Trend. Tom Robinson, MD, the Irving Schulman, MD, Endowed Professor in Child Health, is quoted. 2) Microwaves Help Treat Patient's Liver Tumors. Gloria Hwang, MD, assistant professor of radiology, is quoted. 3) Congresswoman's Baby Born Without Kidneys Treated at Packard. Louis Halamek, MD, director of the center for advanced pediatric education, and Steven Alexander, MD, division chief of pediatric nephrology, are quoted. 1) Congresswoman's Baby Born Without Kidneys Treated at Packard. Louis Halamek, MD, director of the center for advanced pediatric education, is quoted. 2) Doctor Offers Tips for Back-to-School Vaccinations. Yvonne Maldonado, MD, service chief of pediatric infectious disease, is quoted. 3) Stanford Pediatric Gastroenterologist Answers Your Questions on Inflammatory Bowel Diseases. Kun Tae Park, MD, instructor of pediatric gastroenterology, provides comment. 1) Kids with Pediatricians Also Receiving Care at Clinics, Survey Results Show.Edward Schor, MD, senior vice president at our foundation, is quoted. 2) Doctors Refine Surgery-Free Technique to Kill Tumors. Gloria Hwang, MD, assistant professor of radiology, is quoted. 5) Pediatric Care in ED Not Equal Across U.S.
3) Study: Higher Caloric Diets Are Safe and Reduce Length of Stay in Hospitalized Teens with Anorexia. Neville Golden, MD, division chief of adolescent medicine, is quoted. 5) Checkpoint Protein ATM: A Missing Piece in Pediatric Cancer Puzzle? 1) Apps Help Autistic Children Socially and Academically. Data from kidsdata.org, a program of our foundation, are cited. 4) Male Infertility Linked to Cancer, Study Suggests. Michael Eisenberg, MD, assistant professor of urology, is quoted. 2) AIDS New Novel Approach Treatment- End to AIDS Epidemic? Matthew Porteus, MD, Kraus Lacob Faculty Scholar in Pediatric Translational Medicine, is quoted. 1) Number of California Children in Foster Care Declining, Data Show. These stories resulted from a kidsdata.org advisory distributed by our foundation. Each report had an introduction that is not included in the attached pieces. 2) Report: Estrogen Levels in Teen Girls Tied to Anxiety Levels, Susceptibility to Eating Disorders. James Lock, MD, PhD, professor of eating disorders, provides comment. 1) Experts Say Court’s Decision to Invalidate Patent on Cancer Gene is Good for Patients. Atul Butte, MD, director of the Center for Pediatric Bioinformatics, is quoted. 2) Brain’s Reward Center Poorly Connected with Voices and Emotion for Autistic Kids, Study Shows. Jennifer Phillips, MD, clinical associate professor of child and adolescent psychology, is quoted. 1) Stanford Doctor Answers Questions on Drug-Resistant Epilepsy. Josef Parvizi, MD, associate professor of neurology, provides comment. If you see relevant articles not included in this digest, please send the url to Stacey.Angeles@lpfch.org. 1) Summer Meal Programs Offer a Lifeline to Ukiah Families. Data from kidsdata.org, a program of our foundation, are cited. 1) For Central California Disconnected Youth, Job Prospects Dim. Kidsdata.org, a program of our foundation, is cited. 2) New Kind of Therapy Shows Early Promise in MS Patients, Study Suggests. Lawrence Steinman, MD, professor of pediatric neurology, is quoted. 3) Director of Stanford Autism Center Responds to Questions on Research and Treatment. Carl Feinstein, MD, Division Chief of Child and Adolescent Psychiatry, provides comment. 2) Five Transplants Completed in 24 Hours at Packard Children’s. Carlos Esquivel, MD, PhD, chief of transplantation division at Packard, Amy Gallo, MD, clinical assistant professor of pediatric kidney transplantation, Marc Melcher, MD, PhD, assistant professor of surgery, Olaf Reinhartz, MD, associate professor of pediatric cardiothoracic surgery, and Waldo Concepcion, MD, director of pediatric kidney transplantation, are mentioned. 3) Stanford Students Study Their Own DNA. Charles Prober, MD, professor of pediatric infectious disease, is quoted. 4) Over-the-Counter Drug Safety for Children Explored. Elizabeth Shepard, MD, clinical associate professor of general pediatrics, is quoted. Saturday, November 7 and Sunday, November 8 at Christ Episcopal Church, 1040 Border Road, Los Altos, CA. Visit www.paloaltoauxiliary.com for show times and reservation information. San Francisco. The Auxiliary will host a Diamonds are Forever Gala including a silent auction, live auction, dinner, dancing and casino. Visit www.sfjewelball.org for more information. and Saturday, November 21. The Rummage Sale is located at 1228 Douglas Avenue in Redwood City. Friday hours are from 11 am – 2 pm, and Saturday hours are from 9 am – 1 pm. November 17, December 3 and December 10. Lynne will be in front of the shop doing personalization form 10:00 am to 3:00 pm on all of those dates. • Mark your calendars! Allied Arts Guild Auxiliaries’ Christmas Market is scheduled for Saturday, December 5th from 10:00 am – 3:00 pm. Time to do some holiday shopping, walk the beautiful grounds, and have lunch at the Blue Garden Cafe. You might even catch a peek of Santa, if you are lucky! Allied Arts Guild is located at 75 Arbor Road in Menlo Park. For more information go to www.alliedartsguild.org. www.supportLPCH.org/Association. Check the Get Involved page often, for updated event details and new calendar listings! information about Hospital programs, services, community resources and events.